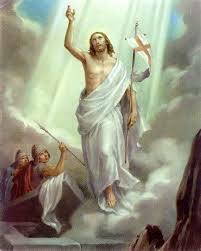 His resurrection from the grave was the greatest display of the ultimate power! new body; no pains, no bruises! name-the firstborn amongst the dead! eventually died again after they had lived their days on this earth. Even Lazarus whom Jesus the Lord raised still died after all. But he lives forevermore! Hallelujah, Praise God! The forces of grave and hell once jubilating couldn't hold him bound. up with Him in glory. Herein lies the mystery of His resurrection, He did it on our behalf! with Him victorious over sin and sickness. life again-the power of an endless life! However, ignorance has always been the bane of the modern man. For we are complete in Him who is the head of all principalities and powers!